A DOT approved cycling helmet is required by law in many areas when riding a bike or E-bike. There are many new designs and improvements for better comfort, aerodynamics and protection on many helmets sold today. Many new designs and enhancements have been developed in the professional cycling world. This technology has been passed down to the consumer. Giving the average cyclist a safer and more comfortable helmet. A DOT approved cycling helmet is required by law in many areas when riding a bike or E-bike. There are many good cycling helmets available today that serve the requirements of safety and comfort. Many are priced from $20 to $50 for a good quality helmet. A good selection is available on Amazon. 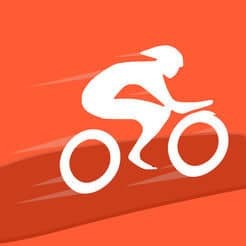 An issue with cyclists today is that many want to operate smartphones or listen to music will riding their bike. Using earbuds is the most popular option, but this can be very unsafe when cycling in traffic. Hearing traffic sounds like horns, and audio traffic signals is critical in keeping you safe on the road. A few helmet manufacturers have been addressing this problem and have developed smart cycling helmets that have bone conduction audio, and ambient awareness, so peripheral perception is not affected. One of those companies is Coros. They have been making cycling helmets for a few years now and have had a successful crowdfunding campaigns that launched their previous helm the LINX Smart Helmet. It was well received and delivered on time. Selling on Amazon now. Coros launched a successful crowdfunding campaign in January for their new Omni Smart Helmet. It has exceeding their goal with 203% funding. Delivery has started in May 2018. They are selling the Coros Omni Smart Bike Helmet on Amazon. 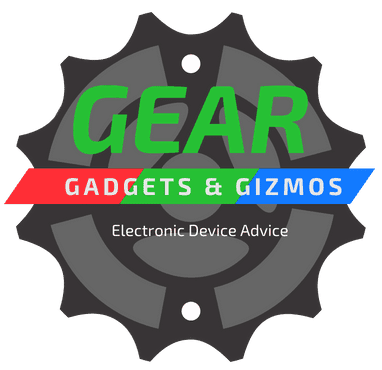 lets have a closer look with my Coros Omni Smart Bike Helmet Review. After successfully launching the LINX Bike Helmet and getting feedback from their customers the people at Coros set out to design a new better-looking helmet that had a better sound a more aerodynamic look than the original and improved smart functions. 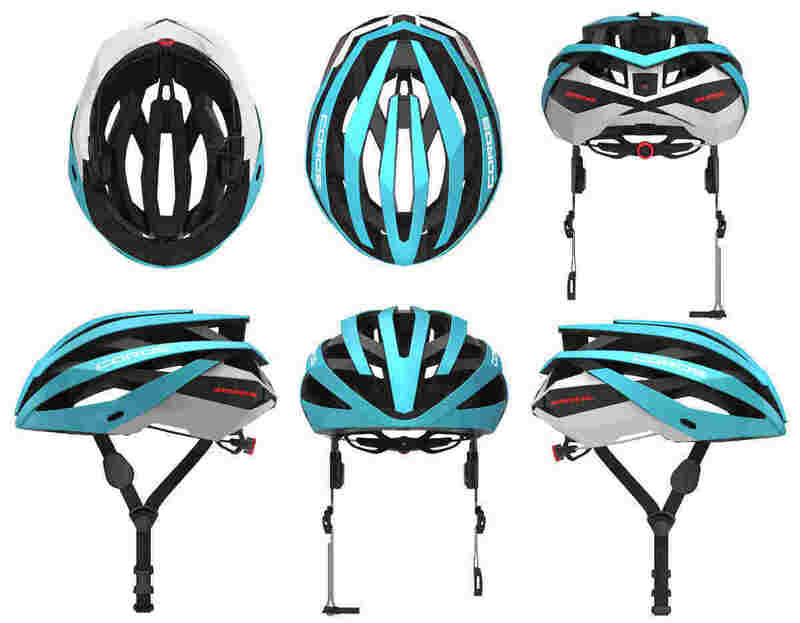 Their new Omni Cycling Helmet is lighter with enhanced smart features much-improved sound from the original LINX and with a more aerodynamic design. They also included better ventilation for a cooler and more comfortable ride. Also, a nice addition is, they added removable front sun visor. The Omni Cycling helmet has a nice comfortable fit and with the added ventilation keeps your head cooler. They come in two sizes medium and large. 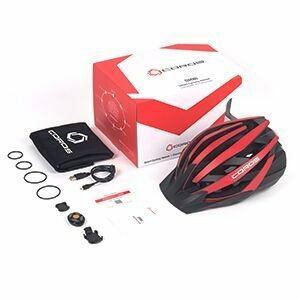 The OMNI smart cycling helmet and remote are resistant to rain, water, and sweat. Rated IPX6 – Protects from powerful water jets. See my full post to understand better. 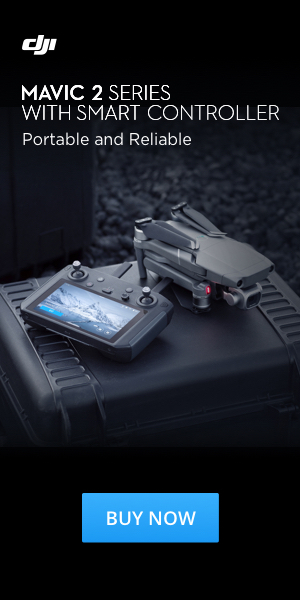 What water resistant, waterproof and IPX ratings is all about. They have offer a limited one year warranty but I heard of a guy that sent his back after a crash and received a new replacement helmet. They seem to really stand behind their products. Bone conduction audio is the conduction of sound to the inner ear through the bones of the skull. 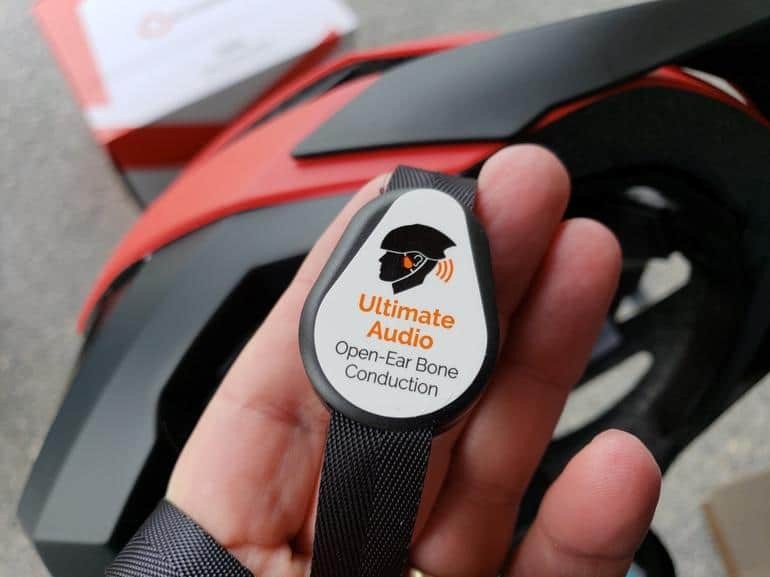 Bone conduction transmission has been used in the past to help people with hearing impairments and now is being developed as a safer alternative than tradition earbuds when hearing outside environment noises is important. The transmitter sits directly on the side temple of your temple and unobstructed for better ambient awareness. A wise idea when riding in traffic. *Ambient awareness is a form of peripheral social awareness. 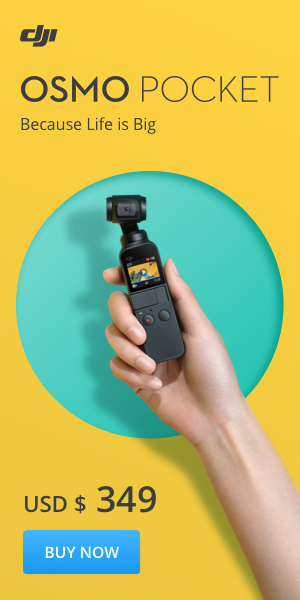 The remote mounts easily on the handlebar for convenient operations. Although it is probably a better idea to enjoy the ride and not answer your phone many people like to talk on the phone or listen to audio will riding. The Coros Smart Cycling Helmet gives you a hands-free safe alternative. You can easily answer incoming calls; play, pause and skip your music w/ the included handlebar remote. Voice navigation will allow you to set a destination and get audio instructions that will give you turn directions just like a GPS in a car. Connect with Bluetooth to any mobile device and listen to music. This feature is integrated with the mobile app. This feature can be great if you do a lot of off-road riding. 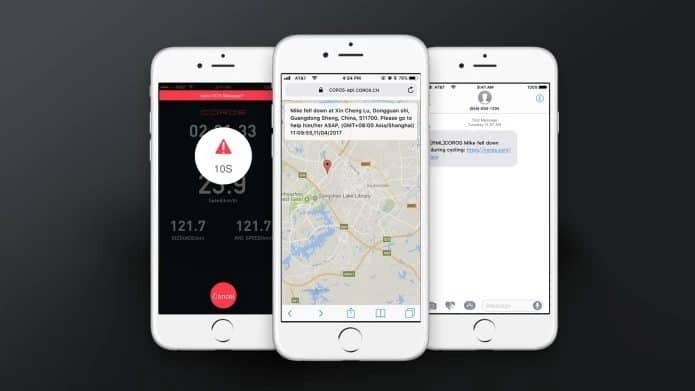 If the helmet detects an impact, an SMS text the emergency alert feature will be sent out to any pre-selected emergency contacts a message and GPS location. As compared to the LINX the Omni has the addition of LED lights located on the back and sides. This addition makes the rider more visible at night which is always a good idea. They are light sensitive and will not work in daylight thus saving battery life when not needed. 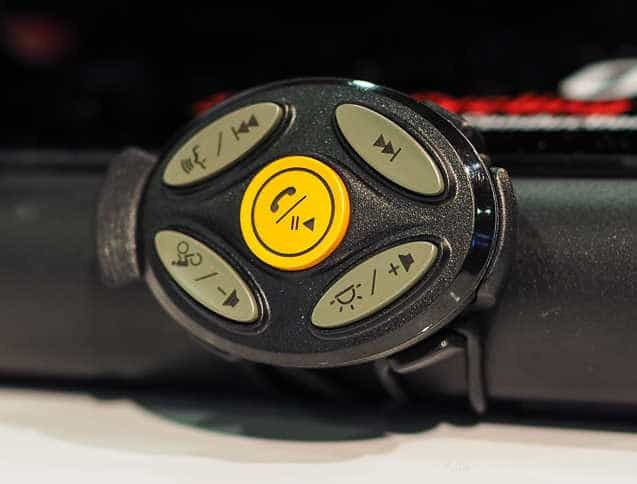 You can disable and control the lights with the smart handlebar remote. You can also set the lights to be premaritally on and flashing for greater visibility in traffic. You can use the onboard microphone for taking phone call located inside the helmet to reduce wind noise. Report are that it works ok at moderate speed but if you go over 25 mph the wind noise becomes a problem. Can be used with optional walkie-talkie available for group rides and coaching. The battery life on the new Omni is two hours less than the LINX but I think the added LED lights has effected the battery life. You will get about 8 hours of playtime with a single charge. This can vary depending on how much you use the various helmet functions. 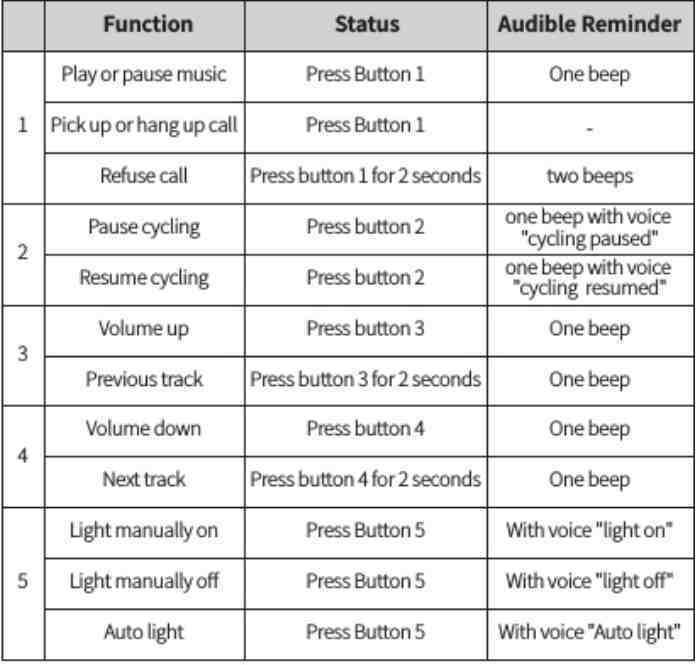 The volume you listen to your audio, using bluetooth and if you are using LED lights. The sound quality is the number one question when asking about bone conduction audio. The quality is pleasantly surprising but not audiophile quality. The overall sound is flatter and the bass not as present with a good overall balanced, especially if you have the sensors fitting loosely. You have to have them on nice and tight for maximum sound quality to allow the sound to transmit through your skull. The sound can vary depending on how tight the straps are and the positioned of the sensor. The tighter the straps, the better the bass response and high-end clarity. This can be a bit of a problem balancing a comfortable fit and best audio sound. If you want excellent quality sound buy a pair of good quality over-ear headphones and stay in one spot. The Omni Cycling Helmets sound is good enough for what it is designed for and is very practical and safe for riding a bike in traffic and keeping you aware of your surroundings. Sound is not always consistant. Depending on tightness of straps. If you do a lot of cycling and like to listening to music and want the ability to safely answer your phone calls the Coros Omni is a good investment. The premium price does offer some very functional smart features. The bone conducting audio provides a much safer alternative than earbuds that affect your peripheral senses. A necessity in staying safe on the road. The added LED lights are a great addition to safety. The lights add to your visibility at night and act as turn indicators and light up when you are braking. Making yourself more visible to drivers is always a good idea when riding a cycle. The Omni is a heaver helmet than many regular helmets on the market but the addition of electronics and LED lights added add to the overall weight.